Think Mexican food is off limits? No way! There are so many flavors that are masked by those chips and tortillas. If the yummy meal Chris posted on Facebook didn’t convince you, then may I introduce to you one of my fave go-to meals for a quick breakfast, lunch, or dinner. Migas are a Tex-Mex favorite consisting of scrambled eggs, tortillas strips, diced onions, peppers, fresh tomatoes and cheese, topped with salsa. Last night, my husband and I enjoyed a bariatric friendly version (sans tortilla strips) of this delish dish. 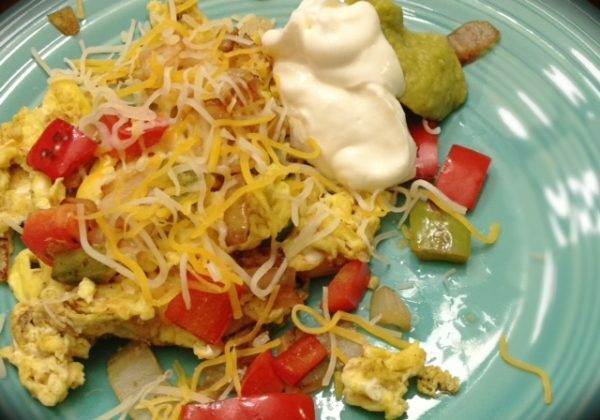 Migas as a snap to make with minimal prep and cook time. Ole! Dice the bell peppers and onion into 1/4 inch pieces. The smaller the pieces, the quicker they will cook. Mix together. Dice the tomato and set aside for a fresh topping for the migas. 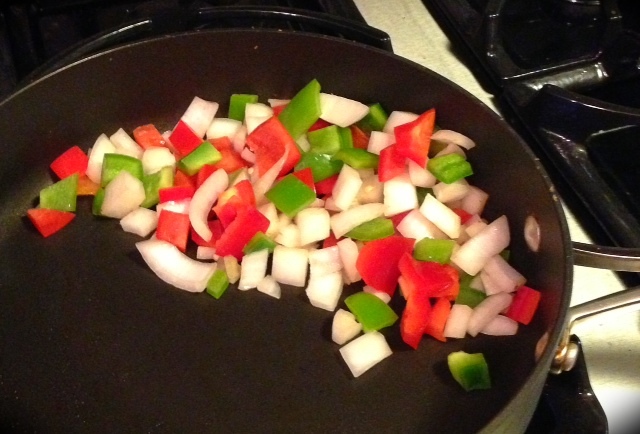 Lightly coat a skillet with cooking spray and sauté the pepper and onion mix over medium heat until the vegetables are soft and the onions are translucent. Crack the eggs into a bowl and whip with a fork. Push the cooked veggies to the side of the skillet and slowly pour in the eggs to form an even layer on the side of the pan. 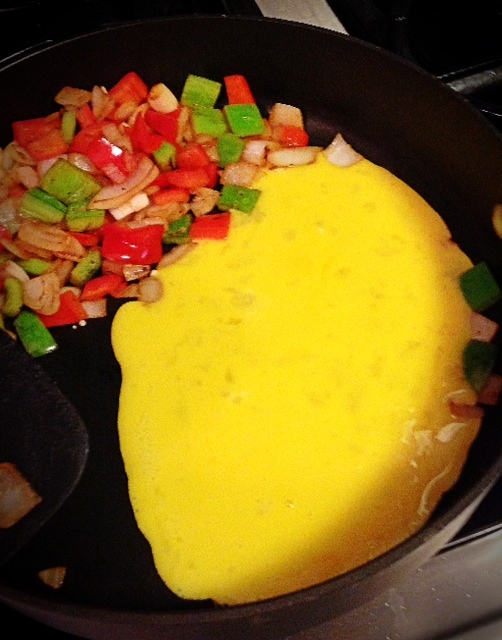 Scramble the eggs until cooked and then fold in the veggies. Transfer to a plate, top with fresh tomatoes, salsa, guac, and plain Greek yogurt. Note: I buy Wholly guacamole 100 cal packs and store them in the freezer. Just thaw out a pack for a perfect portion of guac to share.